MOBI ( Maximizing Office Based Immunization) is a statewide quality improvement program developed for health – care providers with a focus on office based practice. MOBI’s mission is to raise the overall immunization rate among Ohio’s 2-year old children to 90% or greater by suggesting ways to improve existing office policies and practice. The MOBI Program was developed and is updated in response to studies showing that education leading to office system changes results in a sustained increase in immunization rates. 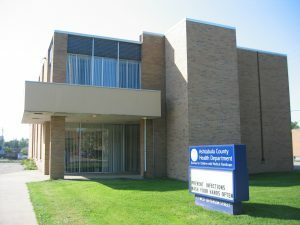 MOBI is provided by the Ohio Chapter of the American Academy of Pediatrics, funded by the Ohio Department of Health with assistance from the National Immunization Program of the Centers for Disease Control and Preventation. This program provides 1 hour of Continuing Medical Education for physicians and 1 Contact hour for nurses and medical assistants. If your practice is interested in a MOBI presentation , please call 576-3023 ext. 111.